Return to Photo Gallery Home. 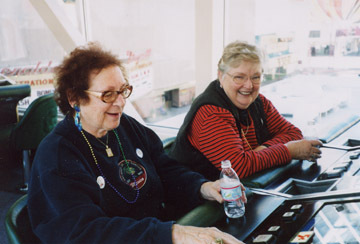 Joy Hillman and Colleen Scott relax. Return to the Snow Train Main Page.